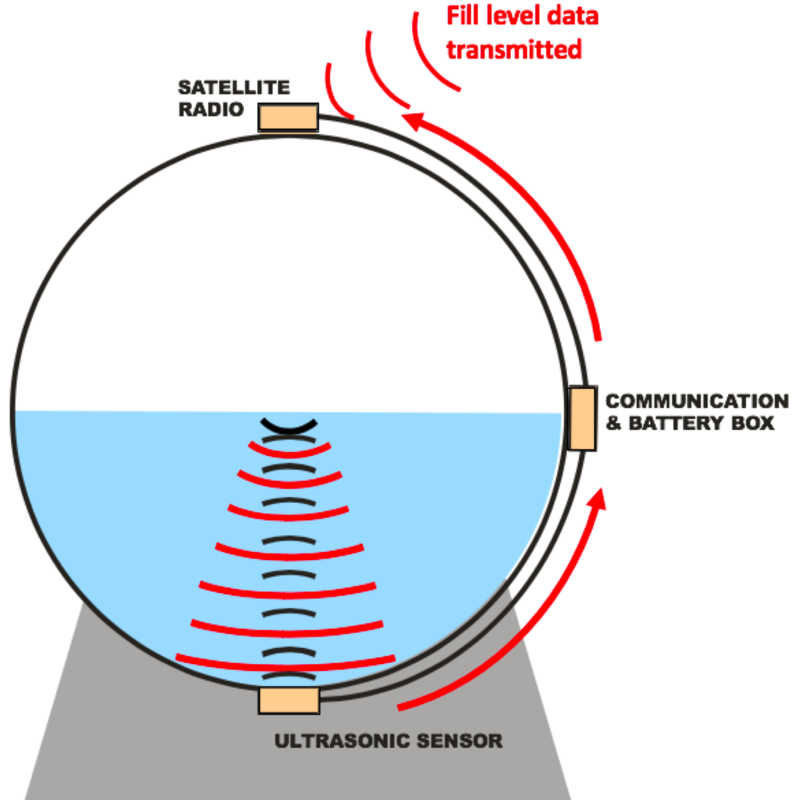 Our ultrasonic sensor is externally mounted and uses sound waves to calculate fill levels. The system then sends these fill levels to our website via the Globalstar satellite network. 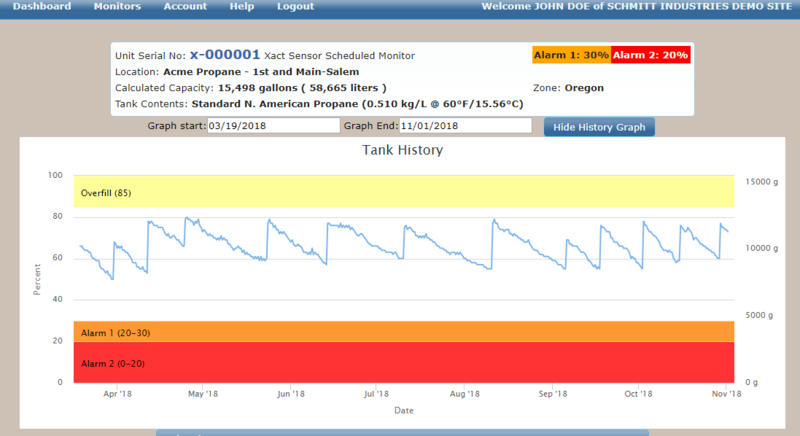 There you can obtain readings and tank information from even the most remote tanks using your desktop computer, laptop, tablet, or smartphone. You can set minimum or maximum alarm fill levels that will automatically update you by email once a particular tank reading exceeds min or max thresholds or needs refilling. Your propane tank is fitted with a float gauge that can tell how much liquid is inside. Our monitor plugs into a Rochester Jr./Sr. Remote Ready dial that reads the tank’s float gauge reading and reports it to our online portal via the Globalstar satellite network. 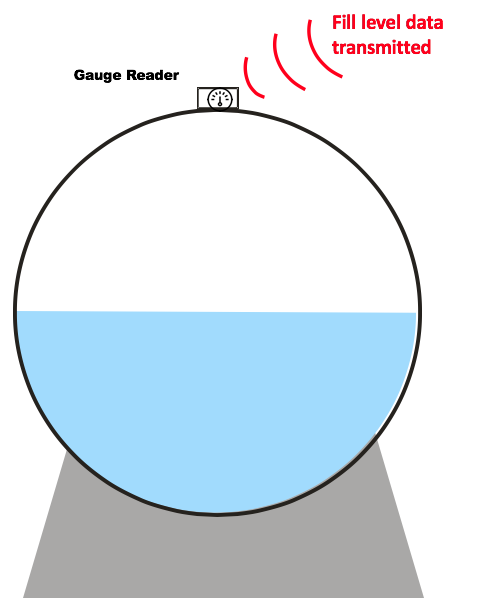 There you can obtain readings and tank information from even the most remote tanks using your desktop computer, laptop, tablet, or smartphone. You can set minimum or maximum alarm fill levels that will automatically update you by email once a particular tank reading exceeds min or max thresholds or needs refilling. Want more info? Chat below or send an email to xactsupport@xact-data.com for more help.